In Karyukai International, there are Official Karyukai system dojo / group and Fellowship system dojo / group. 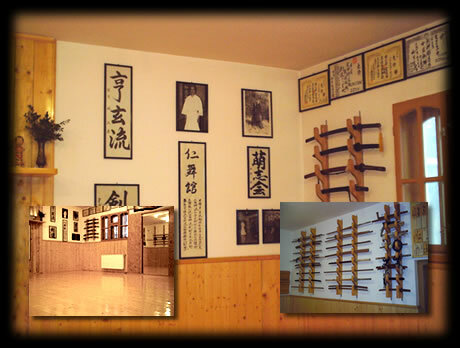 If the group leader is teaching and training the patterns, rank promotion etc., in one of the schools of Karyukai, then he/she is considered Official Karyukai system dojo / group. If he/she want only to be affiliated without practicing one of the Karyukai schools, then he/she is considered only Fellowship system dojo / group. The people listed above have truly achieved the title of Monjin or above. I, Headmaster Ozon Karyu, do not know and do not recognize any individuals claiming the titles Monjin / Renshi / Kyoshi / Hanshi / Meijin and Shidoin (Official Instructor) in our line except as above or if the status is Inactive Member or License Dojo is Temporarily Suspended! There are also instructors in touch with Karyukai International in other cities, but who have not officially recognized dojos, yet. For information regarding the instructors of Karyukai International, contact us .